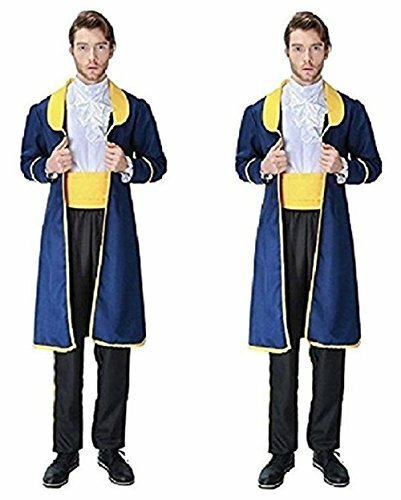 With this tale as old as time you will feel wild with these one piece pajamas are designed to look just like Beast from the amazingly popular Disney Beauty and the Beast movie. These pajamas have ribbed cuffs at the wrist and ankles. Machine washable and easy care. Beauty and the Beast is a 1991 American animated musical romantic fantasy film produced by Walt Disney Feature Animation and released by Walt Disney Pictures. The 30th Disney animated feature film and the third released during the Disney Renaissance period, it is based on the French fairy tale of the same name by Jeanne-Marie Leprince de Beaumont (who was also credited in the English version as well as in the French version), and ideas from the 1946 French film of the same name directed by Jean Cocteau. 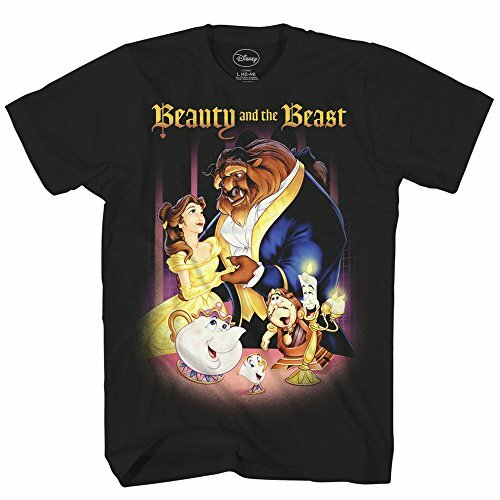 Beauty and the Beast focuses on the relationship between the Beast (voice of Robby Benson), a prince who is magically transformed into a monster and his servants into household objects as punishment for his arrogance, and Belle (voice of Paige O'Hara), a young woman whom he imprisons in his castle. 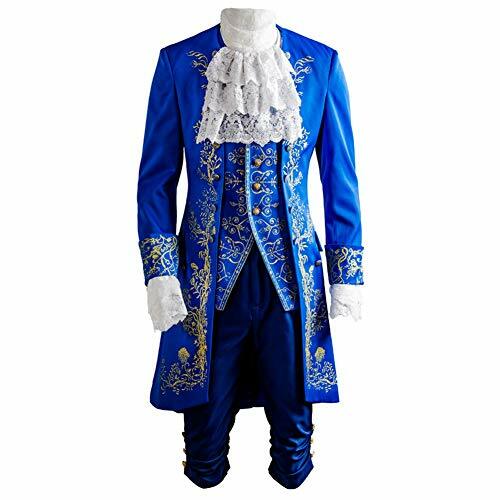 To become a prince again, Beast must learn to love Belle and earn her love in return to avoid remaining a monster forever. The film also features the voices of Richard White, Jerry Orbach, David Ogden Stiers, and Angela Lansbury. 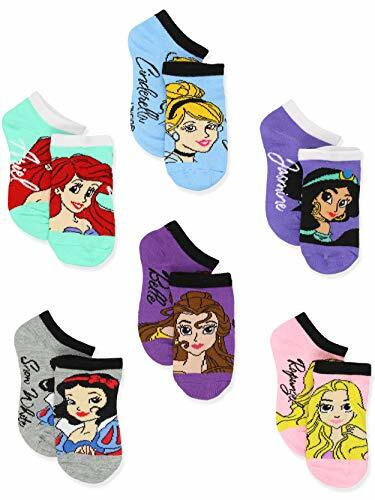 These Disney Princess Belle variety 6-Pack no show socks are perfect for any princess! 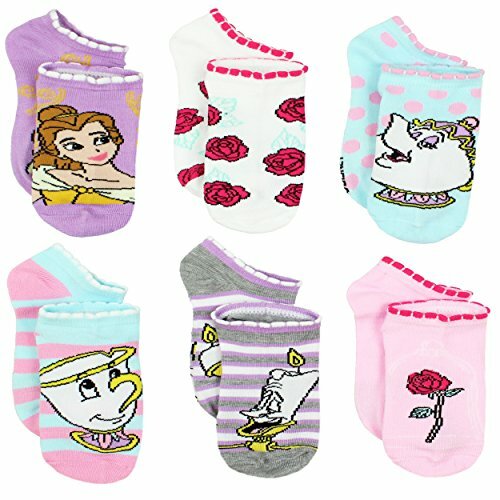 Six pairs in each set provide variety and excitement with each pair featuring your favorite characters from Disney's Beauty and the Beast: Princess Belle, the enchanted rose, Mrs. Potts, Chip, and Lumière! Each six-pack of no show style socks are the perfect accessory to any outfit! 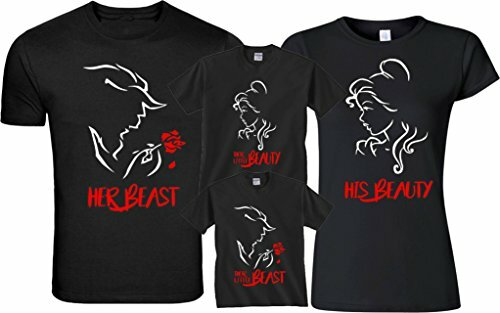 It's the perfect choice any Disney Princess fan! 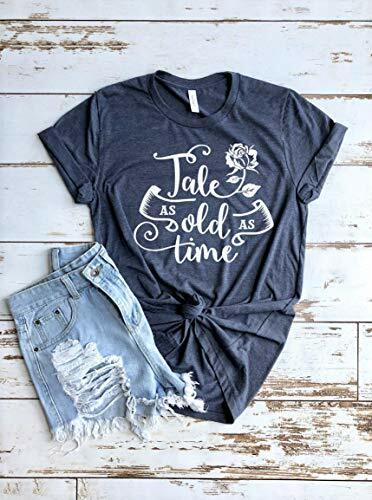 A shirt made for a beauty! Info: -Unisex Sizing -Sleeves do NOT come rolled up. We rolled them ourselves for a stylish effect. -Heather Navy Shirt -4.2 oz -Soft Poly Cotton Blend -Side seams, retail fit -Shoulder to shoulder taping -Unisex sizing -Very Soft -Ladies, for a fitted look size down. But please refer to sizing chart for your best fit!